Our family is excited to share our home away from home in beautiful Destin. Please feel free to ask any questions you may have as you are planning your next vacation on the Emerald Coast. 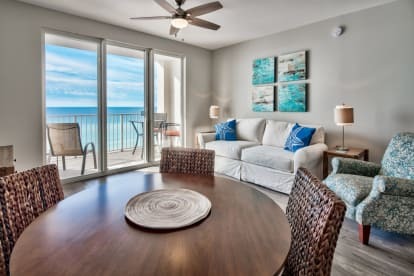 We take great pride in keeping our condo beautiful with high-quality furnishings and clean beach decor. We want your stay at the beach to be fun and relaxing with all the comforts of home and the added bonus of a beautiful Gulf view.